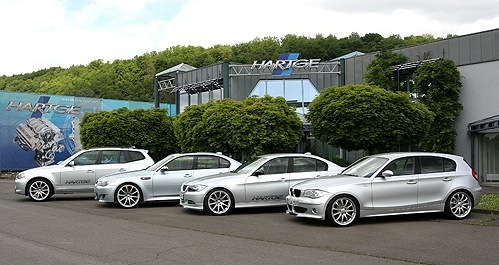 HARTGE is a BMW and MINI car tuning company based in Beckingen, Germany. It was set up in 1971 by Herbert Hartge when he tuned his car to win the races. In the years to come, the company he set up developed to a great extent to create a network of dealers all over the world while at the same time the products were the top in quality and reliability. The product range covers areas such as horsepower and torque increase, improved exhausts, sports suspension with ride comfort, aerodynamic packages, large-size wheels with low profile tires as well as cosmetic interior design. HARTGE products are represented in the Greek market by SPEED & STYLE.